Activision has filed a lawsuit against former Infinity Ward studio heads Jason West and Vince Zampella, accusing the duo of being "self-serving schemers." You didn't really think we'd heard the last of the InfinittwardÃ¤mmerung from early March, did you? Well, now it's Activision's turn to file its own over-dramatically worded lawsuit, and the publisher is marching out with dual shotguns blazing. According to the LA Times Blog, the lawsuit - filed this morning with the Los Angeles County Superior Court - counters the complaint filed by West and Zampella after being fired from their positions as the co-heads of Call of Duty developer Infinity Ward. Whereas Ward and Zampella alleged that Activision terminated their employment to avoid paying royalties on the roughly hozillion dollars garnered by the massive Modern Warfare 2, Activision (of course) disagrees. In the 23-page claim, Activision complains that "West and Zampella's misdeeds formed an unlawful pattern and practice of conduct that was designed to steal the [Infinity Ward] studio, which is one of Activision's most valuable assets - at the expense of Activision and its shareholders and for their own personal financial gain." The lawsuit also claims that Activision fired West and Zampella because the duo had "morphed from valued, responsible executives into insubordinate and self-serving schemers who attempted to hijack Activision's assets for their own personal gain." Furthermore, it alleges that West and Zampella took a "secret trip by private jet to Northern California, arranged by their Hollywood agent, to meet with the most senior executives of Activision's closest competitor." While the suit does not mention any companies by name, it doesn't take a genius to realize that Electronic Arts' main headquarter is in Redwood - that is, in northern California. What is perhaps the most interesting charge in the Activision lawsuit, however, its the publisher's response to the claim that it has intentionally been withholding royalties from the Infinity Ward crew. Activision claims that West and Zampella attempted to "prevent Activision from awarding additional compensation to [Infinity Ward] team members as a reward for the success of [Infinity Ward-developed games, in order to make these employees easier to poach when West and Zampella executed their plans to leave the company and set up their own company." "We don't have the time to comment on the many lawsuits Activision files against its employees and creative partners." Oh, snap. I felt the heat from that burn all the way over here! Update: IGN has the full text of the cross-complaint, and even if it is out of order it makes for a very interesting read. Activision is alleging that West and Zampella became increasingly subordinate over the past few years, making up false incidents of "incompetence" among Activision employees and speaking openly about leaving Infinity Ward to start a spin-off - and trying to bring other IW employees with them. 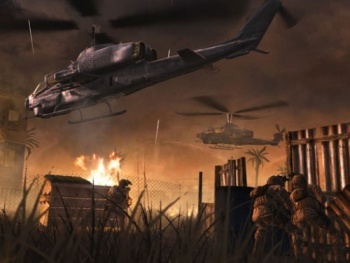 "When Activision prevails in this matter, it intends to reallocate any share of the Modern Warfare 2 bonus pool that might otherwise have been payable to West and Zampella to those employees responsible for the success of the game who remain employees of the company subsequent to the resolution of the matter." "West and Zampella sent and received the following messages in an apparent effort to covertly copy certain materials, reading in part: 'Dunno how to scan secretely [sic] ... [IW Employee's] computer down ... [IW Employee] did it for me last time. ... Really. No paranoia about it being in [IW employee] user folder? Her comp down anyway now ... She had a secret area it scanned into ... Probably better to just photocopy and fedex ... Can scan or photo - your call ... Boom boom pow. Away.'" Some serious allegations here. I'm very interested to see how this will all play out.